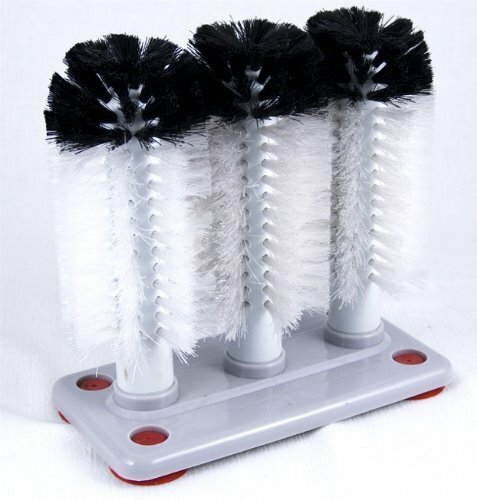 Glasswasher with 3 bristle brushes and Suction grip base firmly attaches to sinks thoroughly cleans glasswares for busy bars and restaurants. 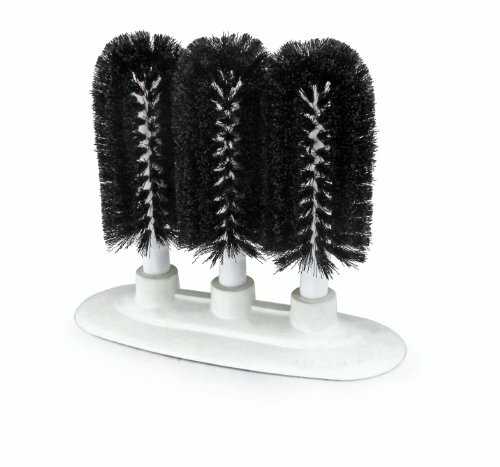 UNIQUE DESIGN:the brush sets consists of 2 short brush and a long brush, great for all kinds of glassse,low and deep. 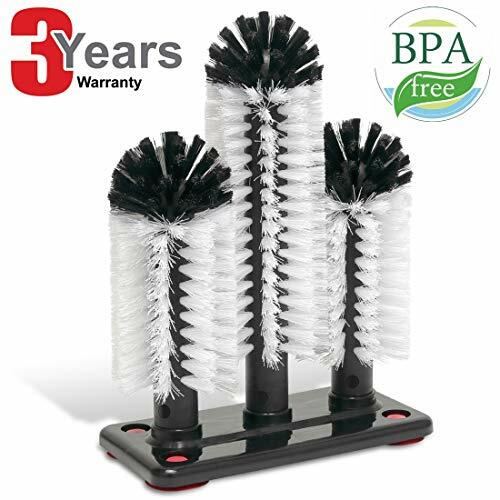 GREAT SUCTION:The suction cup works well enough, it can attach firmly to your sink. IMPROVE EFFICIENCY:Save time and makes washing glasses so much easier,It's awesome the speed you can wash plenty of cups with security. BonBon 3 Brush Manual Bar Whiskey Scotch Glass Washer Whisky with Suction Cup Base is equipped with a suction cup base on all four corners for optimal grip. 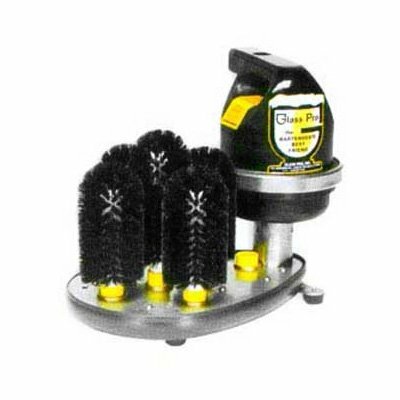 The 3 brush heads swivel either direction to a point to ensure a good scrubbing of your bar glasses. 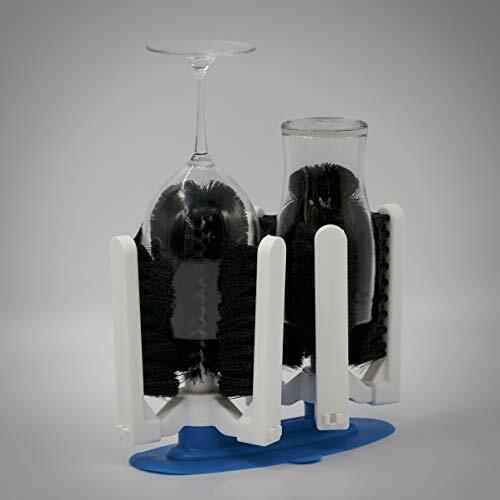 1.Amazing glass washer with double side bristles brush & suction base, clean your wine glasses, water bottles, jugs, decanters, mugs, cups and all narrow and tall glassware in the quickest way possible. 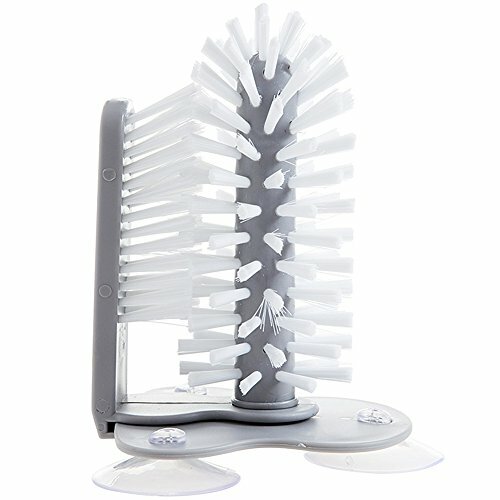 2.The unique design of the brush will perfectly clean every little bit of your glasses and bottles with no extra effort needed. 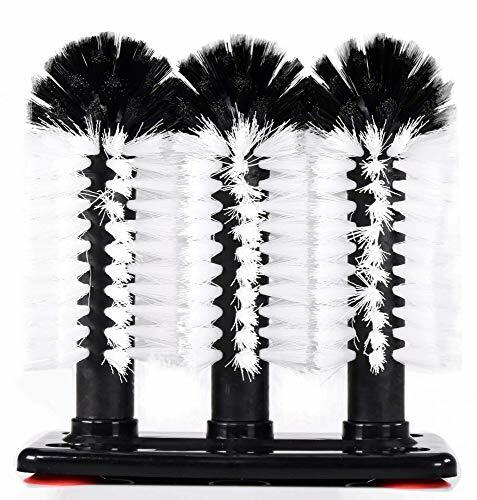 3.The bristles of the brush are thick and incredibly durable for extraordinary performance every time. 4.Positive suction base to firmly attach to your sink. 5.Get one and wash your glassware in one hand. About Our Service: Customers' satisfaction is our priority. We provide quality warranty for any product bought from our store. If there is any question, please feel free to contact with our customer service team. 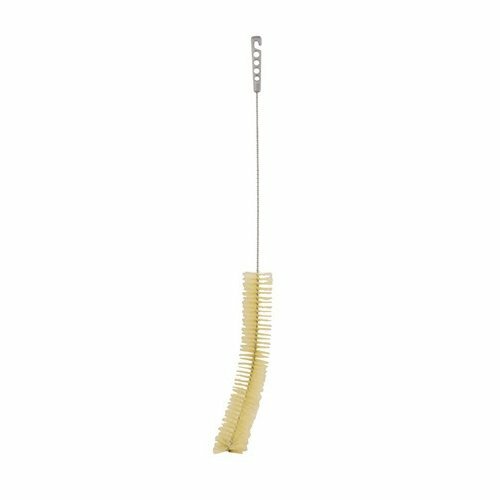 Demijohn cleaning brush; 37 in long overall, Bristles 17 in long x 2-3/4 in wide. Features plastic handle with hook and hole for hanging. Tip of the brush has a slight curve to better fit demijohns and containers with a rounded bottom. Tip of the brush has a slight curve to better fit demijohns and containers with a rounded bottom. 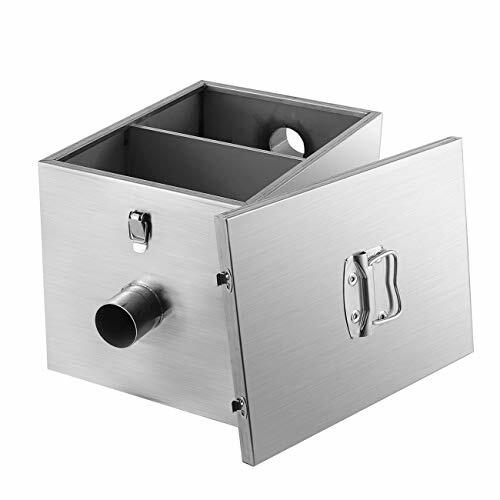 Brand: BarConic | Manufacturer: BarProducts.com Inc.
8 Inches Wide x 8 Inches Tall. Brand: BarConic | Manufacturer: BarProducts.com, Inc.
Injection molded in engineered thermoplastics. Will not corrode, chip, or peel, not even under the most severe applications. One piece tank design - compact, durable, user-friendly solution. Lightweight and strong: weighs up to 60 percent less than metal interceptors. Can be installed in-floor, on-floor, or semi-recessed. Measurements: 24.5" long by 16.5" tall by 17.5" wide; 3" from top to pipe opening, 12" from pipe opening to base. 25 lbs G.P.M capacity. 50 lbs Grease capacity. Both ends accept no-hub adapters for steel or plastic. T-vent pipe included. C IAPMO compliant models: GT8-GT30; UPC compliant models: GT40-GT100. Coupler - Flexible Coupler For. intervals using the removable fine mesh filter. 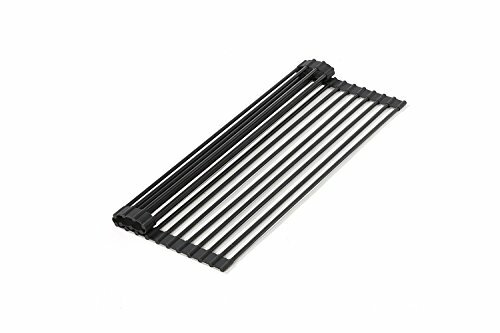 Overall dimensions: 13" L x 9 1/3" W x 9 1/3" H Connection size: 2"
Please select the only authorized seller of the BEAMNOVA brand: Beamnova. If you purchase the same products from other sellers, we will not be able to provide you with quality assurance, and you will not be able to enjoy our after-sales and warranty services. Warranty: 1 year. Removable Baffles for Ease of Maintenance. 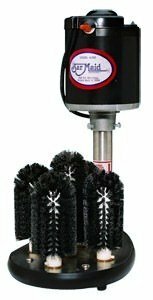 The retained waste collected within the unit can be easily removed at regularintervals using the removable fine mesh filter. 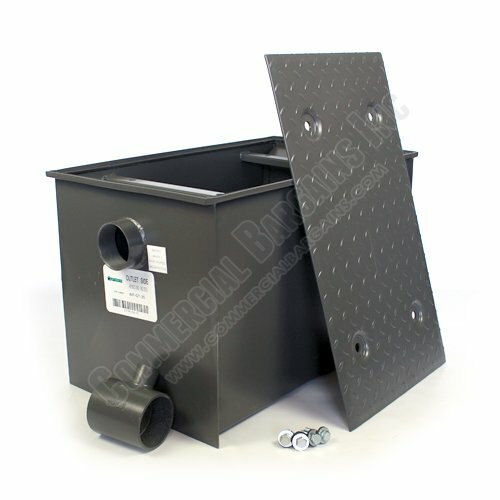 The Grease Trap is delivered fully assembled and couldn't be easier to install - just need to be connected to a pipe and starts to work. WARNING: Please select the only authorized seller of the BEAMNOVA brand: Beamnova. If you purchase the same products from other sellers, we will not be able to provide you with quality assurance, and you will not be able to enjoy our after-sales and warranty services. Installation Remove the flow control tee from inside the interceptor Locate the interceptor "inlet" and "outlet", position inlet closest to the equipment that the interceptor will be servicing Install the flow control tee between equipment and inlet valve on the interceptor Vent the flow control tee to ensure optimal performance of your interceptor Replace the lid and securely tighten retaining lid bolt Check integrity of connection to the interceptor and repair any leaks as needed Maintenance One week after installation, check the grease level inside the interceptor. These results should be used to determine the appropriate cleaning schedule to be used for future cleaning. To clean, simply remove the lid and then extract or skim the grease into an empty container. replace the lid and secure the retaining bolt. Refer to local codes and regulations concerning the region specific installation and proper grease disposal. Shipping Note: This item is sent via Freight services. Please understand that this is a large item and will be delivered to you on a pallet. Many addresses may not be directly deliverable. Please be available for communication with us and freight services via phone. 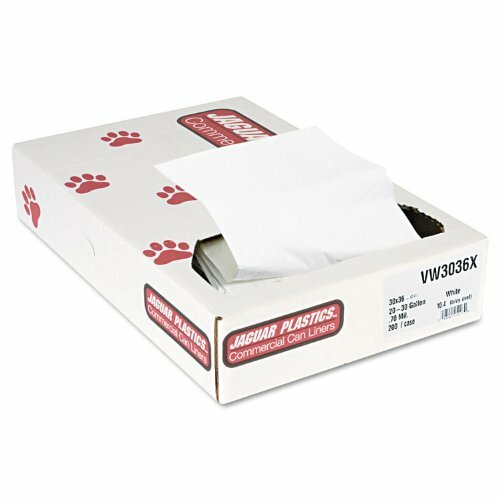 Linear low-density polyethylene provides industrial-strength puncture and tear resistance. Star-seal bottom helps prevent leaks. Individually folded for quick and easy dispensing. For light wood or metal scraps, wet cardboard, etc. Application: Can Liner; Capacity Range (Volume) [Min]: 20 gal; Capacity Range (Volume) [Max]: 30 gal; Thickness: 0.7 mil. Individually folded for quick and easy dispensing. 15 GPM/30# Poly Grease Interceptor. Ashland Traps are the ones that don't rust. 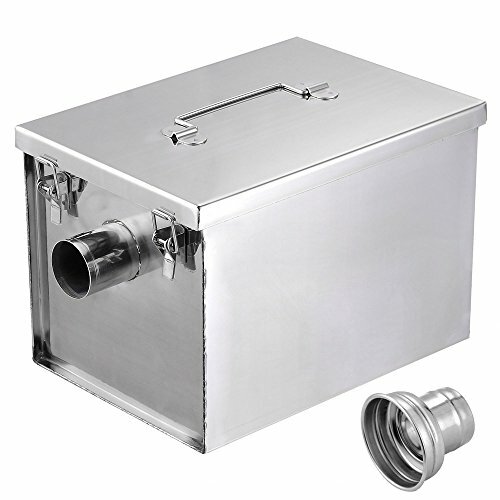 Ashland Grease Traps are seamless, easy to install and easy to ship. The Poly Trap Series 4800 product line is approved by PDI and listed by IAPMO and UPC. 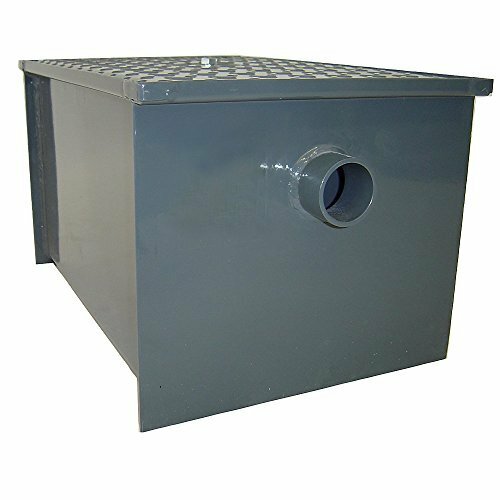 Ashland grease traps are available in a multitude of sizes and varieties vor virtually any application you require.